Amateur radio isn’t just a hobby or a past time. It is so much more! It is a way to learn new skills, broaden your horizons, meet new people and find friendships that will last a lifetime. 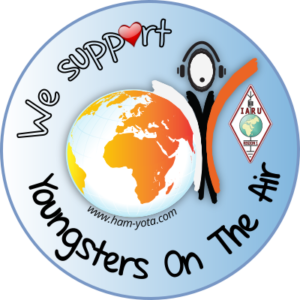 Amateur radio provides a positive can do attitude, Shows you the right way to do things and how to overcome problems. There is so much I could write about this hobby but to sum it up into three words; Amazing, Skillful and Inspiring! My journey started in December 2013. I was looking for something to do one day and my father, Jon 2E0CAP said to me “Why don’t you start learning for your foundation license?”. I remember it now clear as day, I said No. But I soon found out that I had been enrolled on a course at Wythall radio club. rather than pass up the opportunity I thought I’ll go along with this. And after sitting the course and passing the exam, I was hooked. But little did I know I’d continue to where I am today. After quite a while on 2m FM, I started to get bored. So I had a word with my dad and we decided that we’d together buy our first HF rig. This was a TS50 and the antenna was a doublet. Again after 6 months things started to go slow. So I kept myself occupied by studying for my Intermediate license. It is a big step going from little to no Technical knowledge to learning for this exam. Even the basics were throwing me. But with some time and perseverance from myself and tutor Jason, M0JDM I passed with a good mark. Back to the station now. I wanted to start working some DX. So I spoke to some guys at my local club, G6VMR and G3PLP who are the local big time DXers and I soon had my idea’s. I had an Inverted L antenna run through an ATU that worked very well. Bagging me DXCC of 100 entities and some nice Q’s in and out of Europe. So time to up my game! One of the biggest DXpeditions I could have wanted to chase came up. South Sandwich Islands. So what did I do? I made a 2 element wire delta loop and pointed it south. And sure enough to my surprise, I worked VP8STI on the second day of their activation. On I go to study for my Full license now, and after a few failure’s and a lot of studying I now hold M0SDV as of 2017. I now run a big antenna with an amplifier with over 200 DXCC entities in the log. And I am making my way towards becoming one of “the big timers” and I aim to be a top contester in time. I am a keen DX chaser and an avid contester both CW and SSB. In fact writing this today makes me see how much I have progressed and changed through the last 4 years. And I couldn’t have done it without the help of so many people along the way. Now the biggest question lies. What next? I’m afraid we’ll have to wait and see!